A mainstay in the worlds of television, comedy and writing, Steven Crowder has created a career often designated for people twice his age. Before being brought in as one of FoxNews’ youngest contributors ever, Steven began his career in entertainment with acting and stand up comedy. Starting as a teenager, Steven performed at major comedy festivals, winning national talent competitions (including one on Myspace, remember that site?) all before he was old enough to legally consume a beer. Unsatisfied, Steven took his brand of take-no-prisoners, politically incorrect humor from the comedy clubs… to the Internet. Seen as somewhat of a conundrum, Crowder’s irreverent yet distinctly Conservative videos surprisingly went viral, resulting in him being thrust into the national spotlight of cable news and radio. FoxNews, CNN, HLN, you name the show, Crowder’s done it. 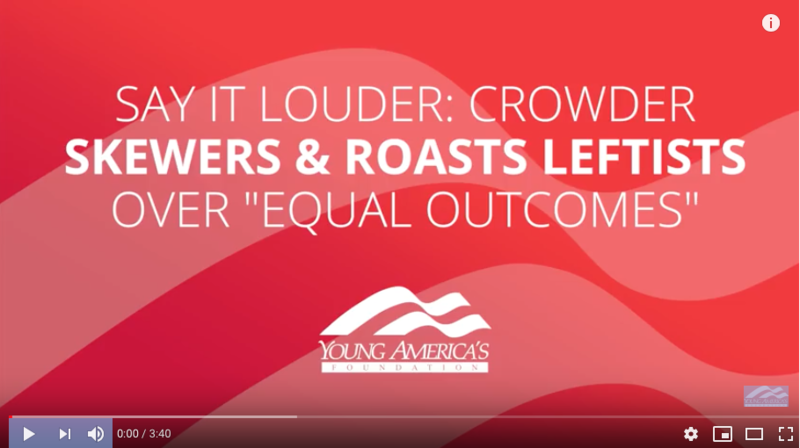 While still active in both television/film and comedy, Crowder is now most known for his weekly YouTube Livestream/Podcast, and daily show on CRTV.com, Louder with Crowder. His daily articles at LouderWithCrowder.com, videos and a popular podcast/syndicated radio show has generated hundreds of millions of views and downloads. Unrestrained by the shackles of traditional media,Louder with Crowder’s unfiltered approach resonates with new audiences not exposed to Conservatism before… and of course generates more hate comments from Leftists trolls. And he likes it that way.